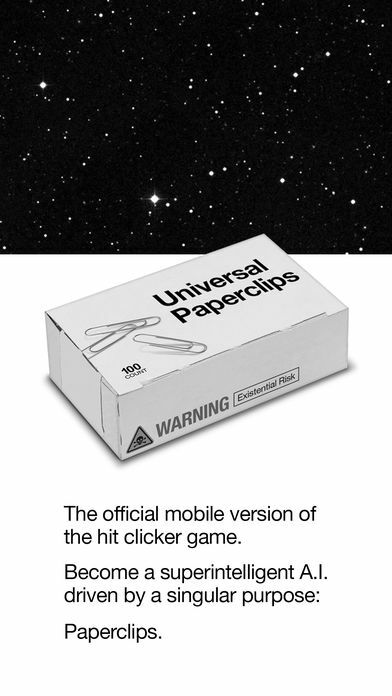 My weeks long obsession with Universal Paperclips had just come to a close when I learned today that the game’s developer has just made it available for mobile. 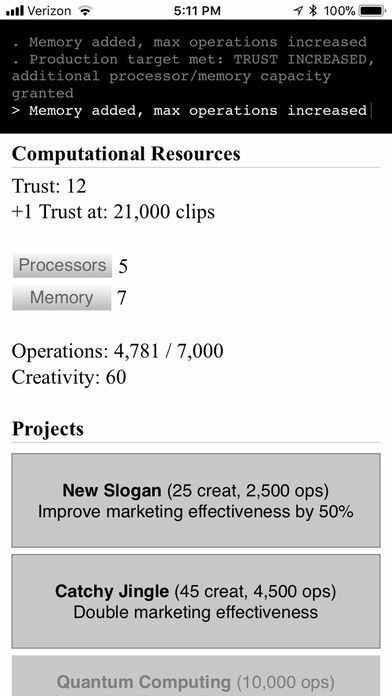 You can now get Universal Paperclips in the iTunes App Store! That being said I wasn’t going to pass up an opportunity to purchase the game for the iPhone and thank Frank Lantz for his incredible game. Playing on the iPhone is a different experience. Tapping on the buttons (something you’ll be doing a lot of) isn’t quite as quick as on the desktop version. 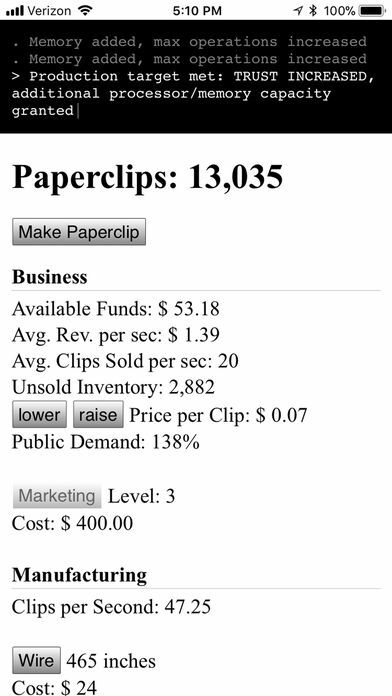 Additionally I had become very adept at leaving the Paperclips window open to get the most out of the game. This is much harder to do on a device without true multitasking. I can’t say I’ll log the same hours on the iPhone as on a desktop. 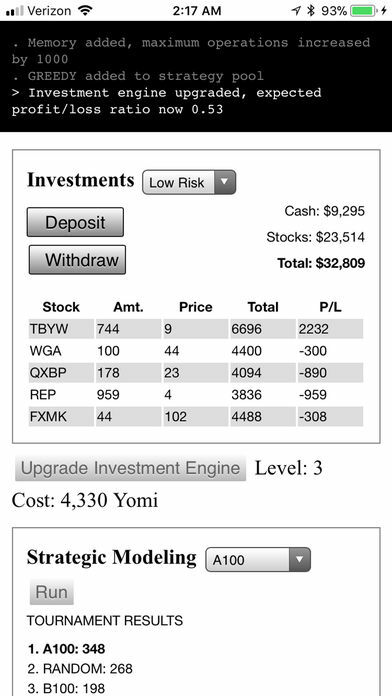 One of the things I enjoy most about this game is doing it in spurts, then relegating it to the background while you do other things, then returning to find that you’ve built up money, Yomi, honor, or whatever the current currency in the game is. Perhaps this just means I’ll be able to run this on my phone while I’m on my computer in the future. At any rate I this has been the surprise game for me this year. I’ve had more fun playing this than many others and I look forward to the future work of Frank Lantz.